Monaco may be best known for its fancy cars and world-famous racetrack, but there are many ways to get around this small but mountainous country. Whether by bus, boat or helicopter, we have the information you need below. 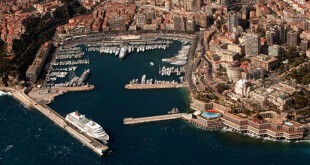 Monaco’s bus service offers an excellent service of modern, clean buses that wind and weave around the Principality. Tickets can be purchased on-board from the driver or at the CAM office on Avenue du Président John F Kennedy. 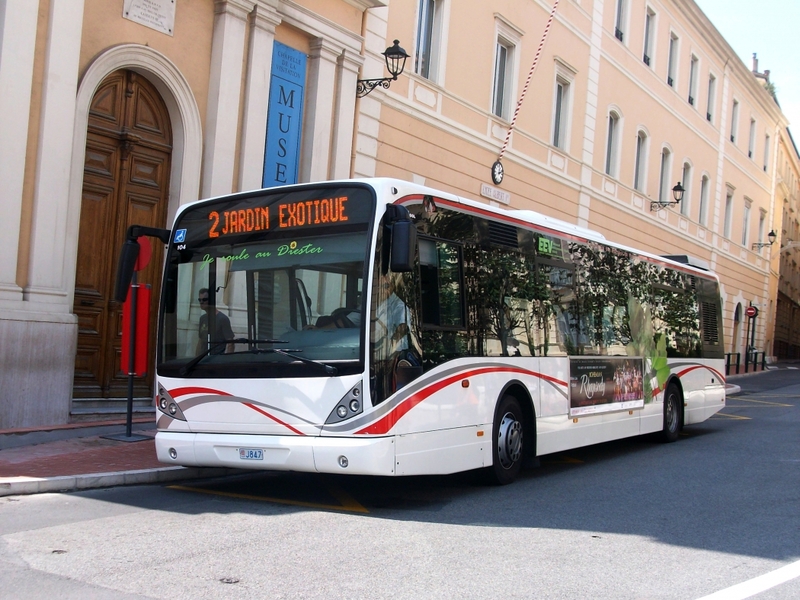 There are six bus lines that traverse Monaco and run from about 7am to 9pm, running every ten minutes during peak hours. After 9:30pm, there is a night bus that runs every 30 minutes from Monaco Ville stop and makes all the main stops. The night bus runs from 9:30pm – 12:30am Monday through Friday and until 4am on Saturday and Sunday. Bateau Bus is the bus by sea! The grand and beautiful Port Hercule is just that—grand. It could take a lot of effort and time to walk around the port. 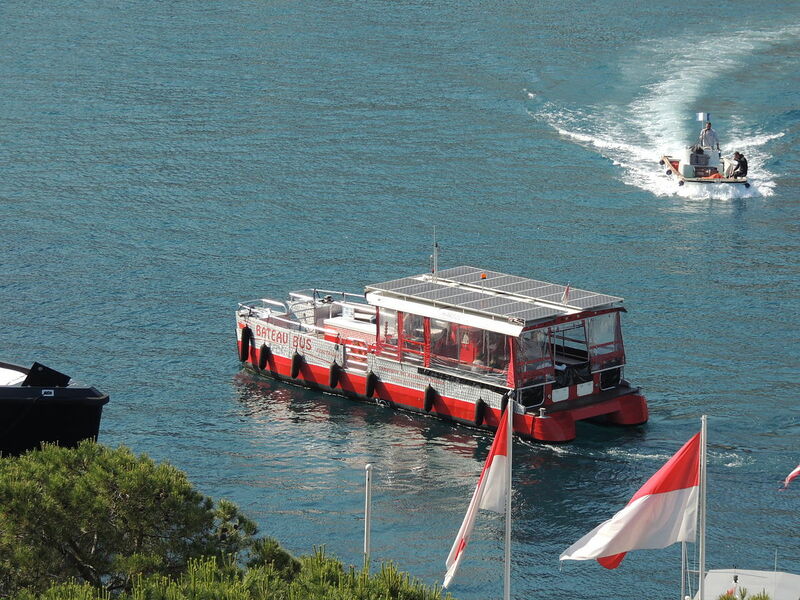 But the little ‘boat bus’ shuttles you straight across from Quai des Etas Unis to the Cruise Terminal. The bus runs every ten minutes from 8am to 8pm and costs the same as a normal bus fare. Part of Monaco’s unique beauty is the way the city is stacked, with high-rise buildings over high-rise buildings. A beautiful sight from afar, but it can be difficult if you need to get from point A to point B. Fortunately, there are a series of lifts and escalators to take you up (or down) to where you need to be. 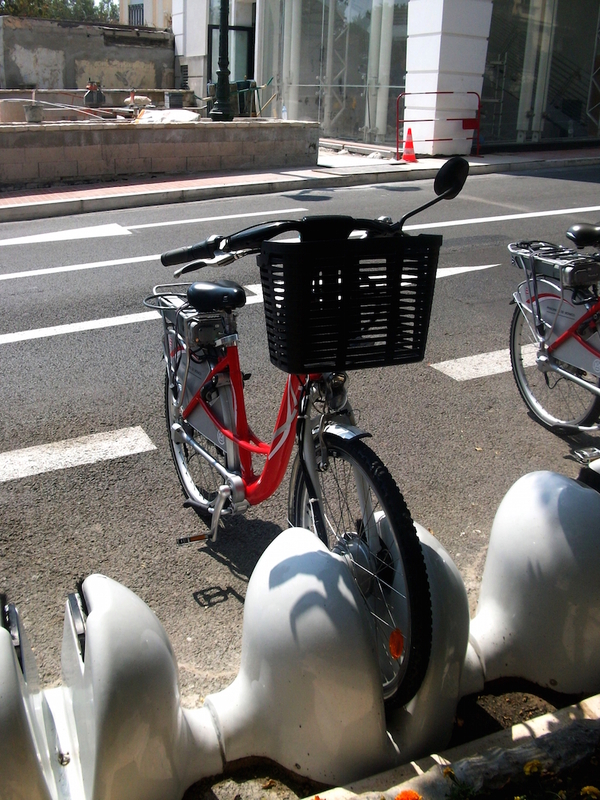 The Monaco Ville Rail station is also a great way to move several levels up the city. To see the locations on a map, click the bus map above. Sometimes the most convenient way to get around is a private driver to take you door to door. There are many taxi ranks in Monaco, including: The railway station, Avenue Princesse Grace (next to Hôtel Beach Plaza), Next to the Monte Carlo Grand Hôtel, Avenue des Spélugues, The Métropole, Avenue de la Madone, and Avenue de Monte-Carlo (near the Casino). But why even stay on the ground when you can fly? Need to get to Nice faster than you can say: “Terminal un”? 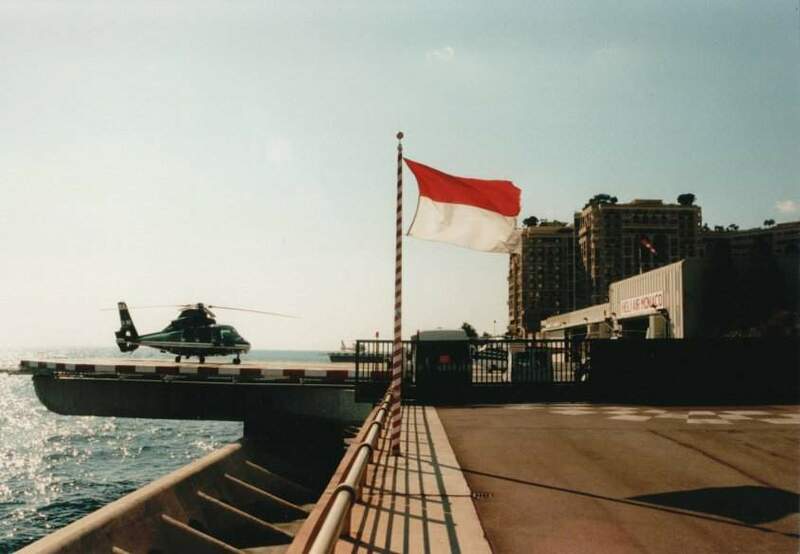 Then get down to the Heliport and catch a flight. 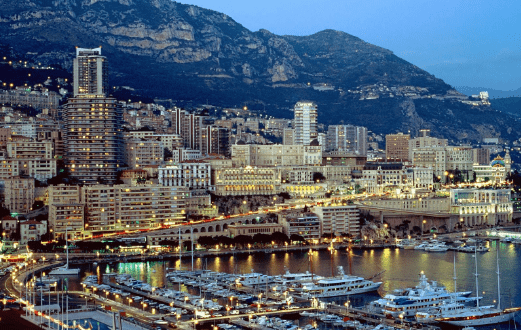 Two airline companies offer 6 – 7-minute flights to Nice Airport!